Veneers are a thin covering that is bonded on the outer surface of a tooth. They are typically used for cosmetic reasons such as filling in a gap between two teeth, covering teeth with staining, or changing the shape of a tooth. 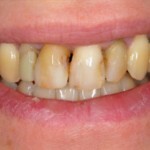 Veneers can be placed on a single tooth or multiple teeth to change the overall appearance of a smile. 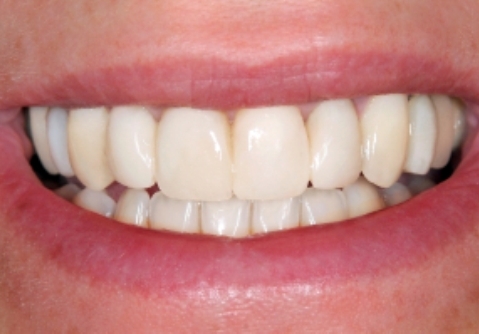 Veneers can either be constructed of porcelain or composite (tooth-colored filling). One advantage of porcelain veneers are they able to resist future staining more than composite veneers and are more wear resistant. However, in the event that the porcelain fractures, they typically cannot be repaired, and must be replaced. Porcelain veneers require a minimum of two appointments to place because they are fabricated by a dental lab. 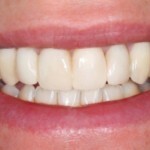 Composite Veneers are completed in one visit. First, the proper shade is selected and then the material is bonded to the tooth. A special light is used to cure the material into a hard material. After the curing is completed, the dentist will finish any shaping and polishing to make the tooth appear as natural as possible. 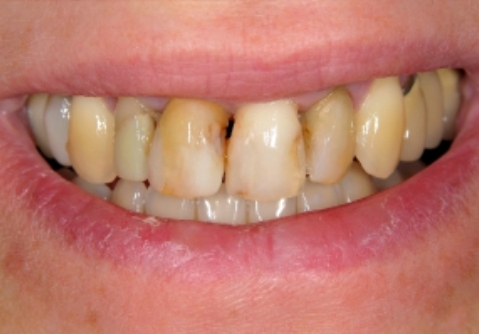 Composite veneers are usually not as resistant to wear and will stain more readily than porcelain veneers. Veneering procedures require little tooth reduction and can be performed in most cases with little or no anesthetic.